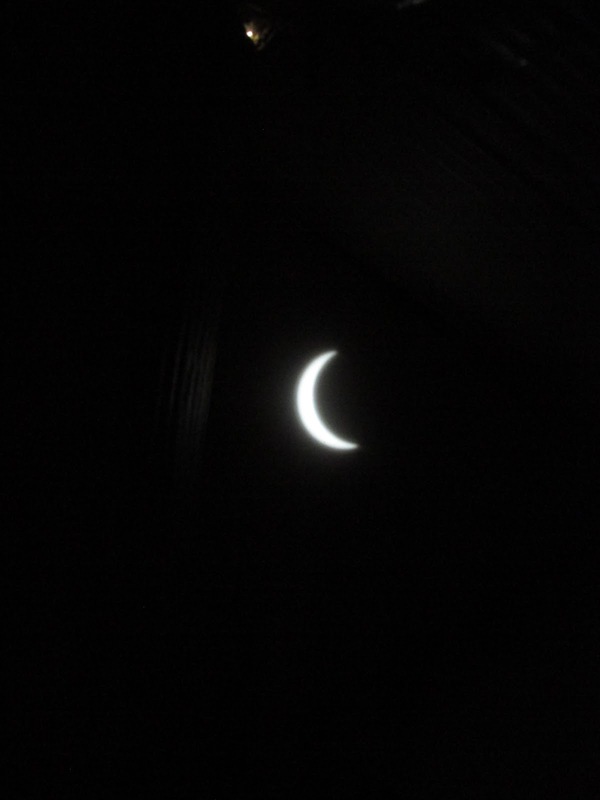 Talons and Feathers: Solar Eclipse! We made our way down to Kentucky and saw the solar eclipse! 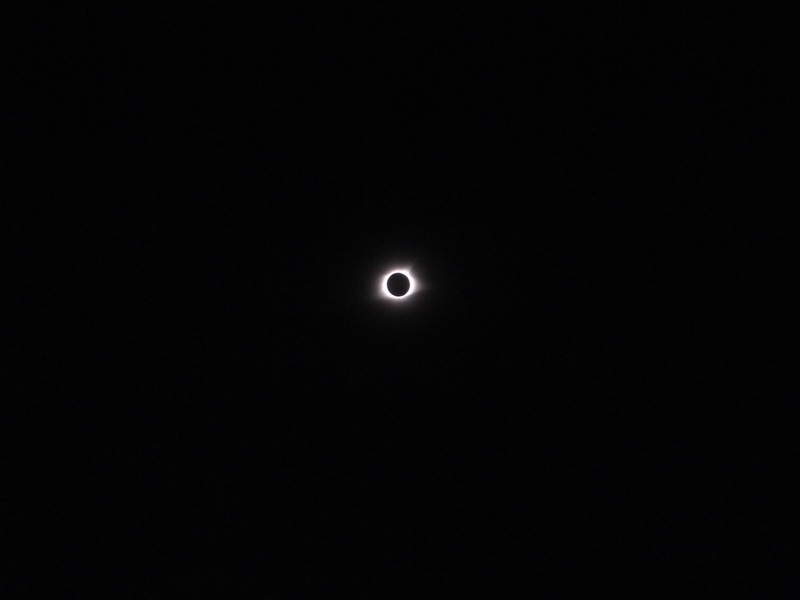 We did not go to Hopkinsville where there was two minutes forty seconds of totality, but we did see two minutes thirty seconds. We got there quite early and were lucky enough to find a field that the town of Dawson Springs mowed and let us park on. It was close to the interstate and so we could make a quick retreat north afterward. 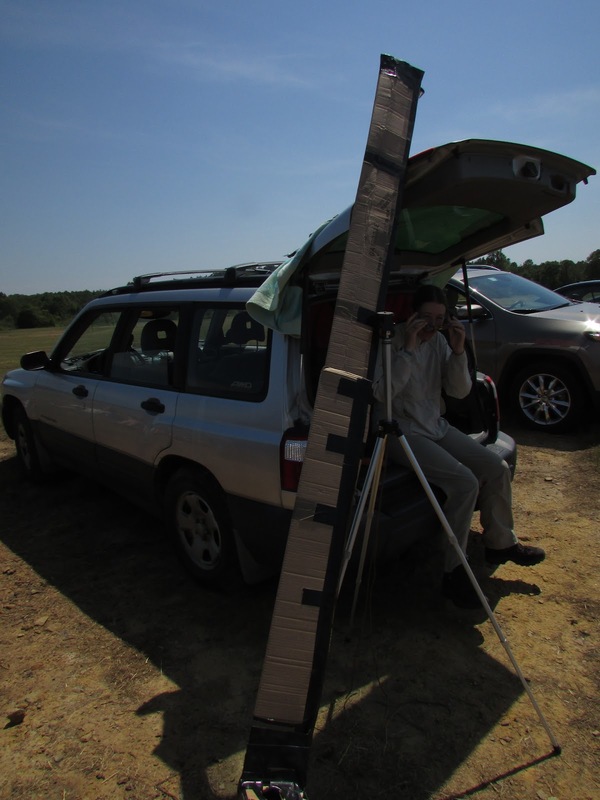 The seven foot triangular prism of cardboard is a pinhole camera that I made for a class, Computational Photography at Georgia Tech. It extends to reach 7 feet but collapses for transport or smaller images to 4 feet and a bit. It could certainly be improved, but it was still quite fun to get all the attention of people near us. This has a few ideas on how to build one: https://www.exploratorium.edu/eclipse/how-to-view-eclipse Essentially the longer the tube the larger the projection. 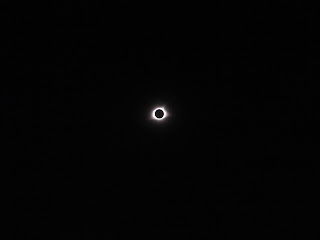 Of course it was awesome to see the totality! Xkcd has a really good graph to show excitement: https://xkcd.com/1880/. It is just mind-boggling how many variables align to make it so spectacular. Of course eclipses happen all the time: https://www.timeanddate.com/eclipse/list.html, but that doesn’t really matter because not all of us can travel to each one. Transits are much less common which might make them more exciting, for instance the next Venus transit isn’t until the year 2117. But unless you have some serious gear it really doesn’t have the same impact as a solar eclipse. It was just plain awesome, and then we drove back, managed to miss much of the traffic.